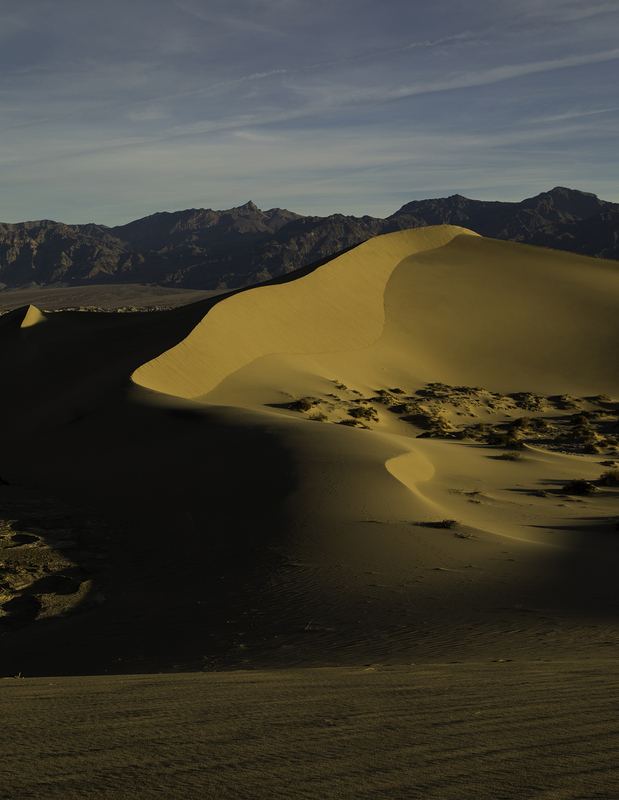 To begin with, the name — Death Valley National Park — doesn't immediately conjure visions of a lively holiday. But here, in one of the world's most dramatic desert landscapes — a place of shifting sand dunes, multi-hued rock formations, a lush oasis, and hidden canyons — you'll wake before dawn to watch the rugged mountains turn pink with the sunrise. Then, come nightfall, you'll marvel at star-filled skies as the desert wind rustles the palms. And you'll wonder why it took so long to find your way here. Many visitors venture to this remote region 120 miles northwest of Las Vegas to marvel at the desert beauty and escape into the beautiful silence of the park's vast expanses. But given that it is the land of stark contrast, why not create your own itinerary with a nod to the exotic landscape? With so much to see and do, the intrepid explorer should determine a base camp. 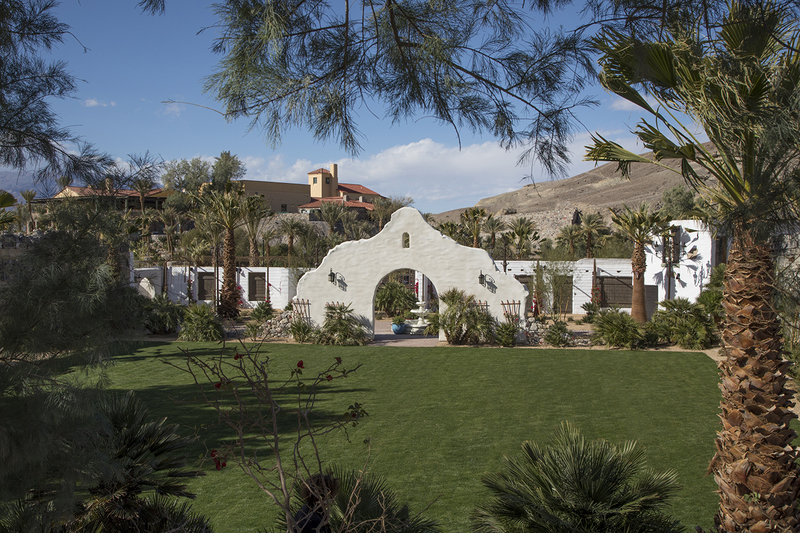 Just a stone's throw from the national park visitor center, The Oasis at Death Valley, comprised of the historic Four Diamond Inn at Death Valley and The Ranch at Death Valley, provides a well-situated solution with unexpected luxury. 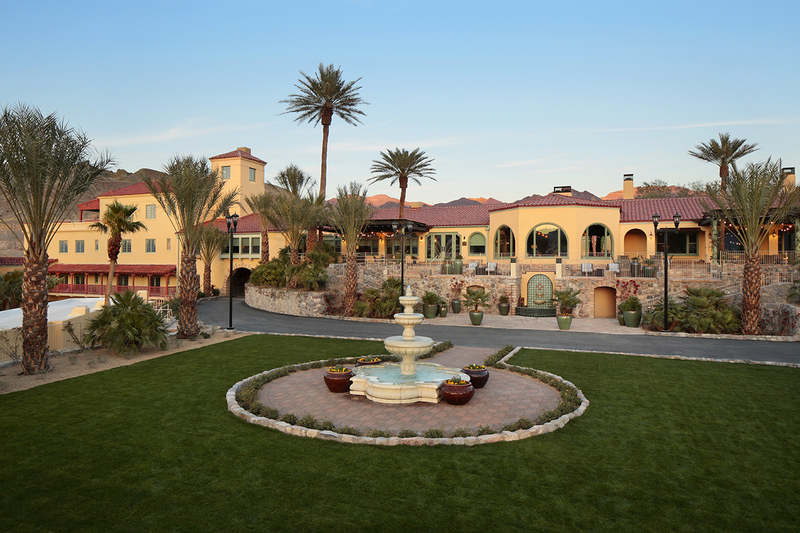 It's a true oasis-like setting, with modern accommodations, fine dining outlets and spring-fed pools, a welcome contrast to a day spent exploring salt flats, mud hills and volcanic craters. After the 1848 discovery of gold in California, the valley experienced more than a century-long mining boom. Most pioneers set out on a quest for gold and silver but were met with a notable lack of success. The only long-term profitable ore to be found in the region was borax, which was transported out of Death Valley with the famous 20-mule teams. Today visitors can explore the once bustling towns of Chloride City, Gold Point, Panamint City and Ballarat, among others. Peer into abandoned mines, and step inside the old saloons, post offices and abandoned houses and imagine what life must have been like for these hearty Westerners. Bring your A-game (and your camera) to the lowest golf course in the world, The Furnace Creek Golf Course at Death Valley, at 214 feet below sea level. The hazards here include coyotes that like to fetch golf balls (one free drop permitted) and the perplexing fact that balls don't travel as far below sea level. Recent renovations on Death Valley's 18-hole, par-70 course addressed water conservation and transitioned 15 acres of maintained turf to desert with low-water-use native plantings. Visit the colorful Mosaic Canyon and Badwater Basin salt flats, the lowest place in North America. Other options include an easy (albeit sandy and rocky), 1-mile round-trip up a canyon to Natural Bridge, the largest of the park's natural bridges. Consider a hike along the rim of Ubehebe Crater; at 600 feet deep and a half-mile across, it looks like something you might find on the moon. Back at the Inn, built on the grounds of a natural spring in 1927, a million gallons of fresh glacial water flow out of the ground daily. 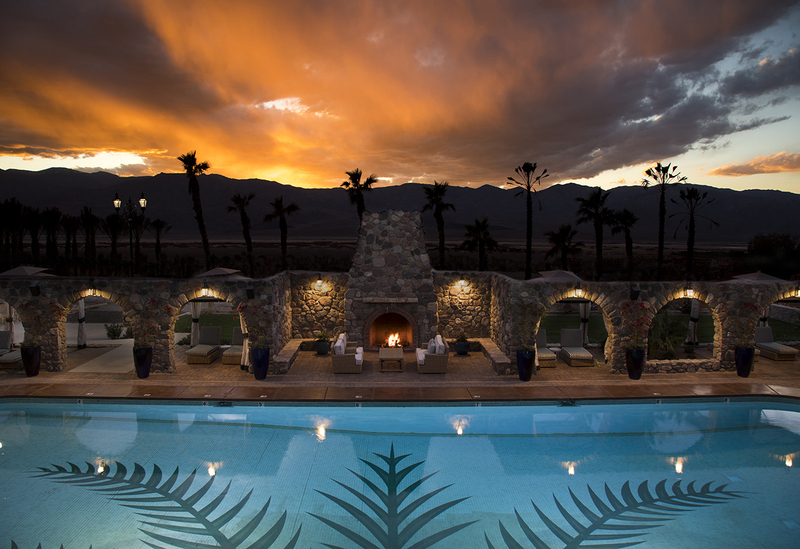 The naturally heated Travertine Springwater, a comfortable 84 degrees year-round, fills swimming pools at the resort and at the nearby Ranch at Furnace Creek. Because the water is continually replaced with fresh spring water, there's no need to chemically treat the pools. Pair a soak in the Inn's healing waters with a mountain bike ride out Skidoo Road. Even better, enjoy a massage under the Oasis's date palms with views of the Mesquite Flats Sand Dunes. With its desert-clear air and miles-from-anywhere location, the expansive night sky at Death Valley is ablaze with stars. Because it has some of the darkest night skies in the country, it is designated a Gold Tier International Dark Sky Park, the highest level awarded. Don't miss the ranger-led astronomy tours offered throughout winter. The wildflower bloom demonstrates the life that springs forth from late fall and winter rains in this 3.3 million-acre park. While each year's display varies with the intensity of the bloom and the timing of the flowers' appearance, it's not uncommon to see Desert Gold and Brown Eyed Evening Primrose or Notched Leaf Phacelia appear in mid-January or earlier. The full impact of the revitalization becomes most apparent between February and March but sometimes continues until June at higher elevations.